Okay, its looks are something of an acquired taste. Let’s move on to the rest of the car. This is the fourth generation of the Jeep Cherokee, the mid-size model in the Jeep range. It’s powered by a 2.0-litre diesel engine with a choice of power outputs, 168bhp or 138bhp. Jeep says the new Cherokee ‘completely re-thinks the mid-sized SUV category’, which is something of a bold claim. It also says it’s ‘designed to stand out in today’s crowded automotive market’ and with its divisive styling, few would argue that it does just that. The more powerful version gets an automatic transmission with a full nine speeds, while the 138bhp derivative gets a conventional six-speed manual gearbox. Both front- and four-wheel drive versions will be available when it reaches UK showrooms in the second quarter of 2014 and Jeep promises that all-wheel drive versions will be very capable off-road. In four-wheel-drive models, the drive to the rear axle can disconnect automatically when it’s not needed, in order to save fuel. That’s not a new technology – the current Skoda Yeti, for example, can do just that – but it is the first time it’s been applied in this particular market segment, says Jeep. There will also be a Jeep Cherokee ‘Trail Hawk’ derivative, which is more off-road oriented with a raised ride height and skid plates under the front bumper. Safety-conscious buyers will be pleased to hear that the new Cherokee has been awarded a five-star safety assessment score by Euro NCAP. Inside, there’s a digital instrument panel and up-to-date connectivity features, with a large touchscreen with satellite navigation available as an optional extra. There is a host of active safety systems too and the Cherokee has already been awarded a five-star rating from safety body Euro NCAP. 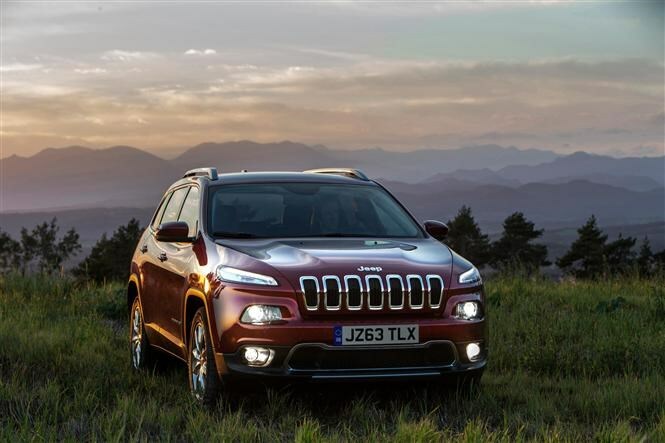 Read more about the new Jeep Cherokee in our report here. Originally mooted to be called the Jeepster, this the new Jeep Renegade, a small SUV (Sports Utility Vehicle) to join the growing ranks of one of the most important marketplaces in the car world. It also says it’s the ‘most capable small SUV ever’ in terms of off-road prowess. Two four-wheel drive systems will be available, one of which will be able to automatically disconnect the drive to the rear axle to save fuel. A system similar to Land Rover’s Terrain Response setup will also be available, with five modesfor different surfaces and driving scenarios. Like the Cherokee, a Trail Hawk version will be available with a raised ride height, 48cm wading depth, skid plates and an extra ‘Rock mode’ for the terrain system. A broad range of engines will be available, the most efficient stop/start-equipped diesel variant of which will be capable of more than 52mpg. More than 70 safety systems are offered for the Renegade, including Forward Collision Warning and Blind Spot Monitoring. 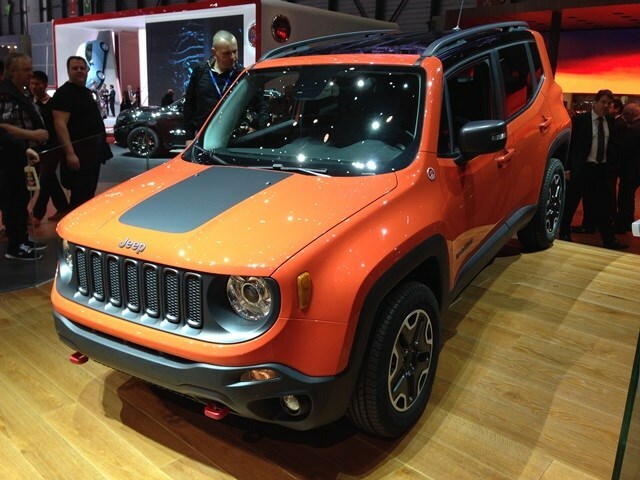 You’ll also be able to spec the Renegade with two sunroofs and also two removable roof panels, along with a variety of accessories from Jeep’s Mopar performance arm. We’ll know more regarding UK specifications and pricing soon.